Sanyo launches its most advanced full HD projector, the PLV-Z3000 | What Hi-Fi? 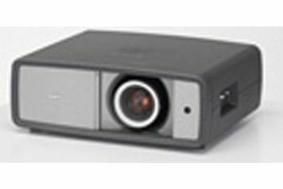 Sanyo's new PLV-Z3000 projector is packed full with the latest technology and functionality and will hope to challenge the class-leaders in the midrange market. It is of course a full HD, 1080p/24fps resolution machine, boasting a 120Hz LCD panel, two HDMI 1.3b inputs and a claimed dynamic contrast ratio of 65,000:1. Intriguingly the machine also claims to be the industry's first capable of '5:5 pull-down' mode, which accurately displays 24p content. Placement flexibility should be a strong-point with the projector claiming the industry's most advanced lens shift function and offering a 2x zoom lens. And if you like a deathly silence as you enjoy the action then you'll be pleased to hear the PLV-Z3000 delivers 'whisper quiet operation' thanks to an admittedly impressive sounding 19dB fan noise.